Craig Hyland; Simon Madden, Dave Webster, Conor Kenna, Luke Byrne; Sean O’Connor, Patrick Cregg, Max Blanchard, Marty Waters (Mikey Drennan 89); Gary McCabe; Danny North. Brendan Clarke; Conor McCormack, Kenny Browne, Jason McGuinness (Lee Desmond 76), Ian Bermingham; Conan Byrne (Jamie McGrath 71), Greg Bolger; James Chambers, Chris Forrester (Darragh Markey 81); Ciaran Kilduff, Christy Fagan. 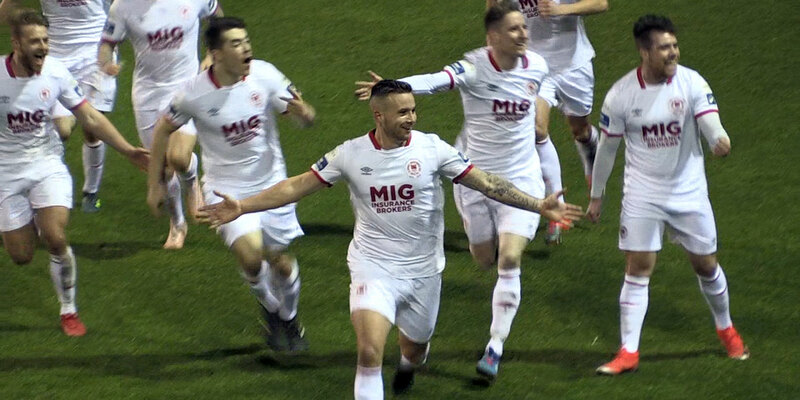 Danny North endeared himself to the Tallaght Stadium faithful with the only goal of the game on his competitive debut as Shamrock Rovers got their title charge off to the perfect start with a big derby victory. North fired home the game's only goal on 17 minutes in a game dictated by a strong down-field wind. Stand-in ‘keeper Craig Hyland was Rovers' other hero with a dramatic stoppage-time save to help send Hoops fans home happy. A total of seven players were suspended for this game, with Rovers worst affected with five - Barry Murphy, Keith Fahey, Stephen McPhail and Brennan brothers Ryan and Gavin – banned. Sean Hoare and Killian Brennan were sidelined for St Pat's, who were also without injured skipper Ger O'Brien. Rovers boss Pat Fenlon rejigged with captain Conor Kenna returning from pre-season injury in central defence with the one surprise being new signing Max Blanchard, nominally a central defender, partnering Patrick Cregg in the middle of the park. Ex-Hoop Ciaran Kilduff started up front with Christy Fagan in a 4-4-2 line-up for St Pat's while new signing, Togo international striker, Cyril Guedje was on the bench. Though Saints enjoyed much of the early possession, it was Rovers, with a fierce breeze on their backs, who had the first effort in anger on eight minutes; Cregg playing a one-two with Gary McCabe to drill a 30-yard shot not far wide. Hyland, at the other end, was the first keeper called upon when he comfortably held Conan Byrne's header after good work on the left from Kilduff. 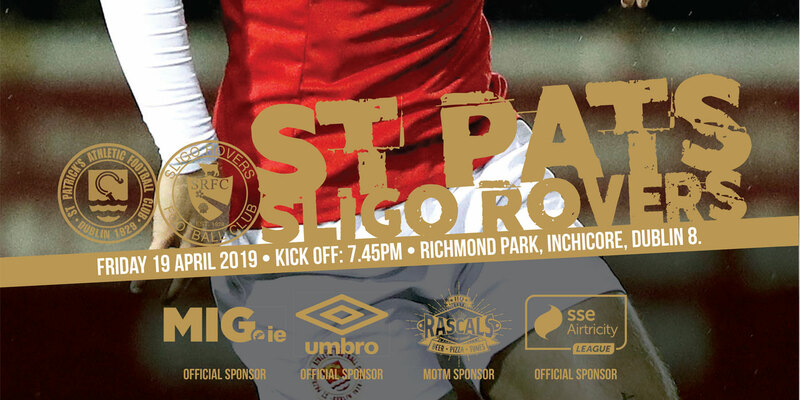 The big St Pat's striker then powered in behind the home regard onto Fagan's pass to shoot into the side netting as the visitors continued to take the game to Rovers. 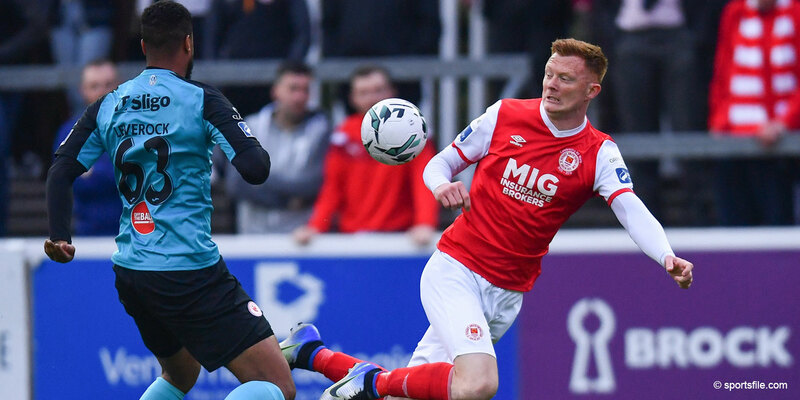 The powerful wind contributed significantly to undo all St Pat's early probing, however, when Rovers snatched the lead on 17 minutes for what would proved the game's only goal. Brendan Clarke's goal kick held up in the win. Blanchard was alert to the loose ball and played a sublime first-time volleyed pass in for the run of North. And Rovers' new striker controlled the ball superbly on his chest to finish in style with a left-foot drive across the Saints' keeper to the net. That clearly lifted Rovers and Clarke had to clumsily turn a long-range effort from McCabe round a post. The wind now at their backs, St Pat's owned the ball for long spells from the restart. But it was Rovers who were frustrating St Pat's on the counter-attack with Conor McCormack, Fagan and Jason McGuinness all booked for over-zealous challenges on Marty Waters, Simon Madden and North. St Pat's pressed fitfully late on, coming close to levelling on 80 minutes when Rovers' Kenna headed over his own goal from Ian Bermingham's corner. Drama then reigned four minutes into added time. Hyland pushed Kilduff's headed effort onto the crossbar, ensuring it was Rovers who took the points.